Street food has never been so popular and now Leicester is going to get its own weekly fix as Canteen presents Weekly Wednesdays on New Market Square in town. Yes, from Wednesday 30 January, every week from 12pm – 8pm you’ll be able to treat yourself to an amazing lunch or grab an awesome dinner after work as Canteen brings in a wave of wonderful street food traders every week. Kicking off with the line-up on Wednesday 30 January, please welcome DISCO FRIES, FAT SNAGS & URBAN CHEESECAKE. Starting with 3 traders, as the weather gets warmer the event will grow with more traders and introducing drinks into the mix. With the demand for high quality street food greater than ever, Weekly Wednesdays will give people a chance to enjoy different cuisines each week, plus Canteen are also working in collaboration with NCASS (Nationwide Caterers Association) to ensure that new traders receive the support and guidance they need to establish themselves at top UK street food events. 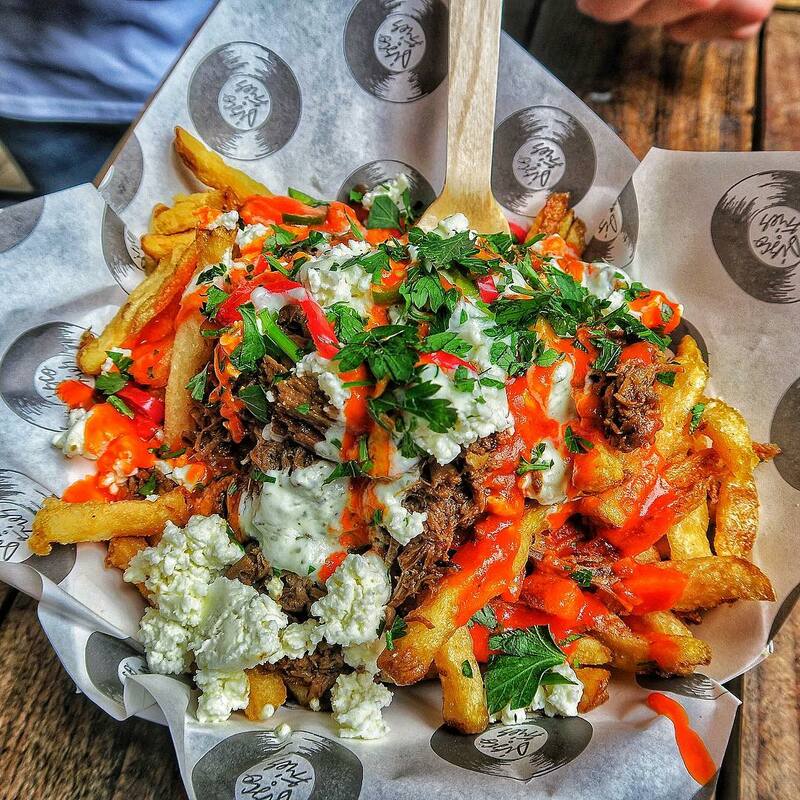 It’s a Canteen debut for Disco Fries, who serve their hand cut crispy fries fully loaded with layers of delicious toppings. They take great pride in producing all their dishes from scratch, using locally sourced ingredients to create their unique flavour combinations. Their ever changing menu is inspired by their travels around the world and they cater for all dietary requirements, including vegetarian, vegan and gluten free. 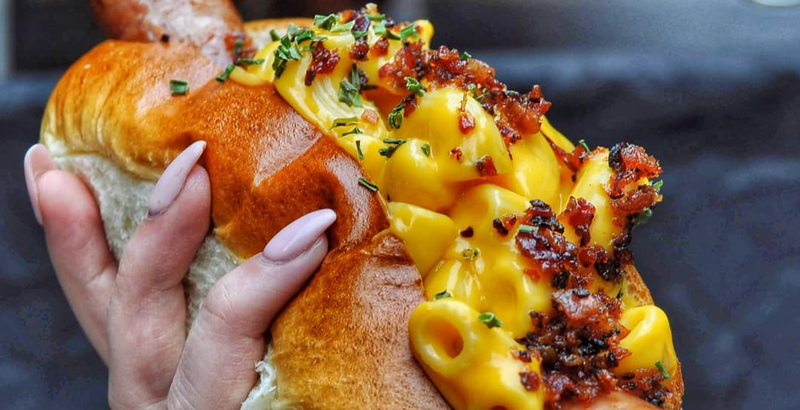 Richard of Fat Snags returns to Leicester with some of the best dogs around! Handcrafted A.W. Lashford Sausages (Master Purveyors of sausages since 1889), made exclusively for Fat Snags from the finest pork and smoked bacon with a blend of 7 spices. Cooked in ale and then grilled to perfection. Lashford sausage, sweet baby rays BBQ sauce, smoked bacon mayo & toasted onion. Served in a buttermilk bun. Lashford sausage, Pips boca del Diablo sauce, chipotle mayo, toasted onion. Served in a buttermilk bun. Lashford sausage, Heinz tomato ketchup, French’s American mustard, toasted onion. Served in a buttermilk bun. 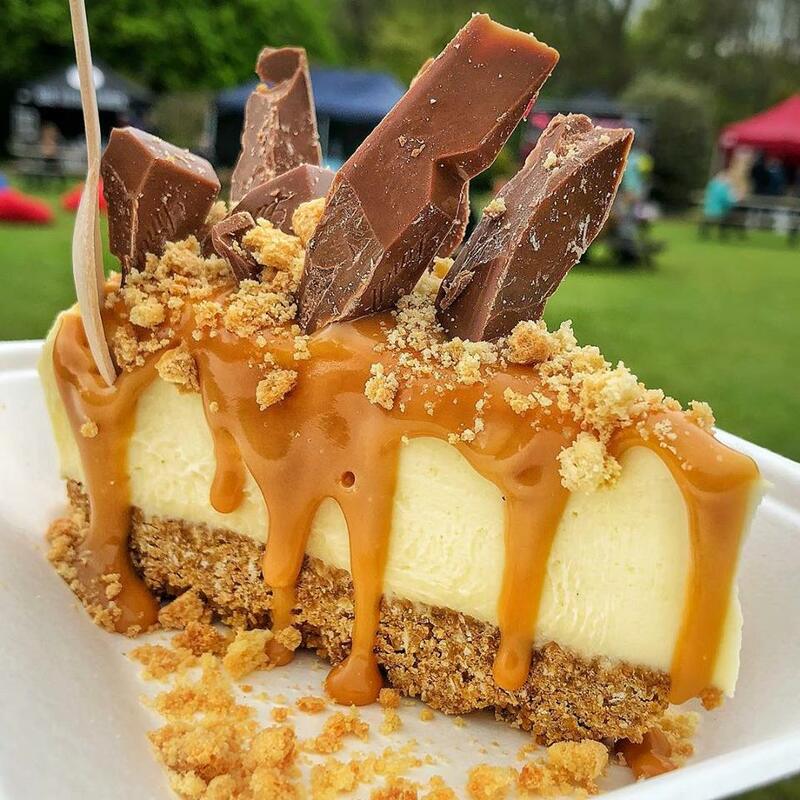 These guys need no introduction – customers go crazy for their luxurious, homemade white chocolate cheesecake topped with a variety of special toppings all served out of their specially converted horsebox. There’s also a lovely 10% discount for council workers, students and emergency services from all traders. So as a reminder – from Wednesday 30 January EVERY Wednesday, New Market Square, 12pm – 8pm. As the weather gets warmer, the fun will grow! Keep up to date with the latest traders news over on Facebook and Instagram. If you are an established trader from Leicester and would like to trade at Weekly Wednesdays or you are looking to start up in street food, please get in contact with Canteen via Facebook or email [email protected].